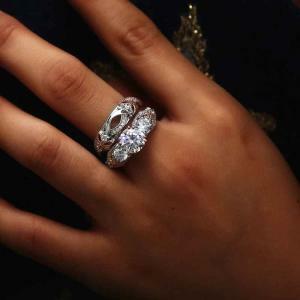 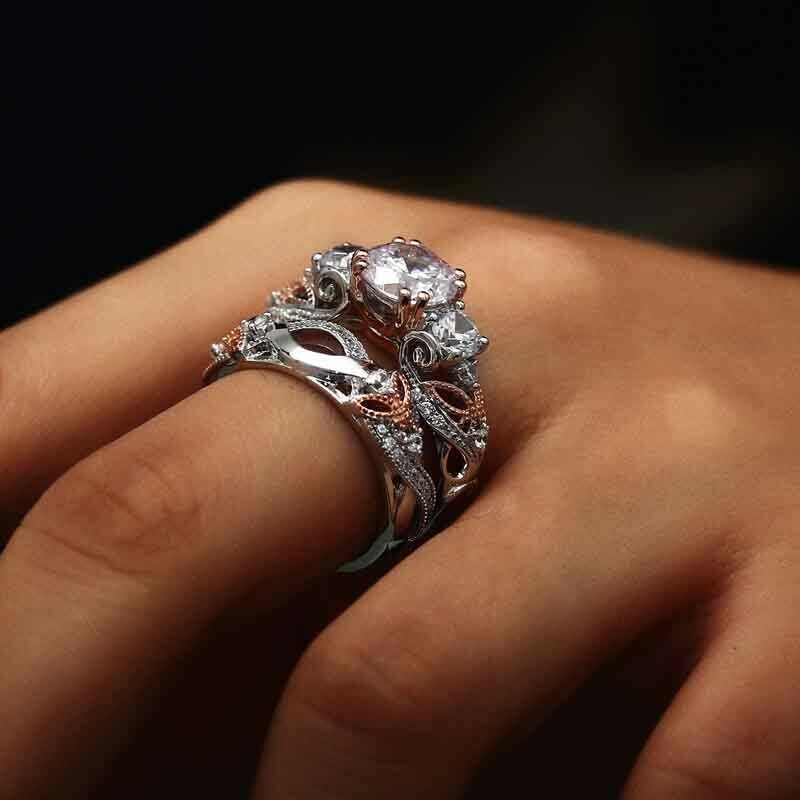 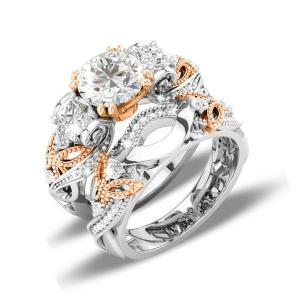 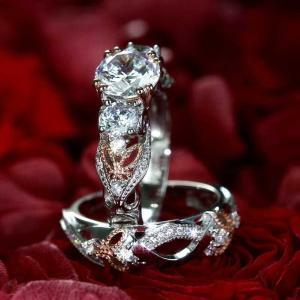 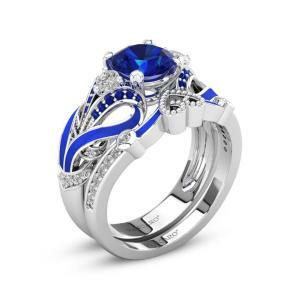 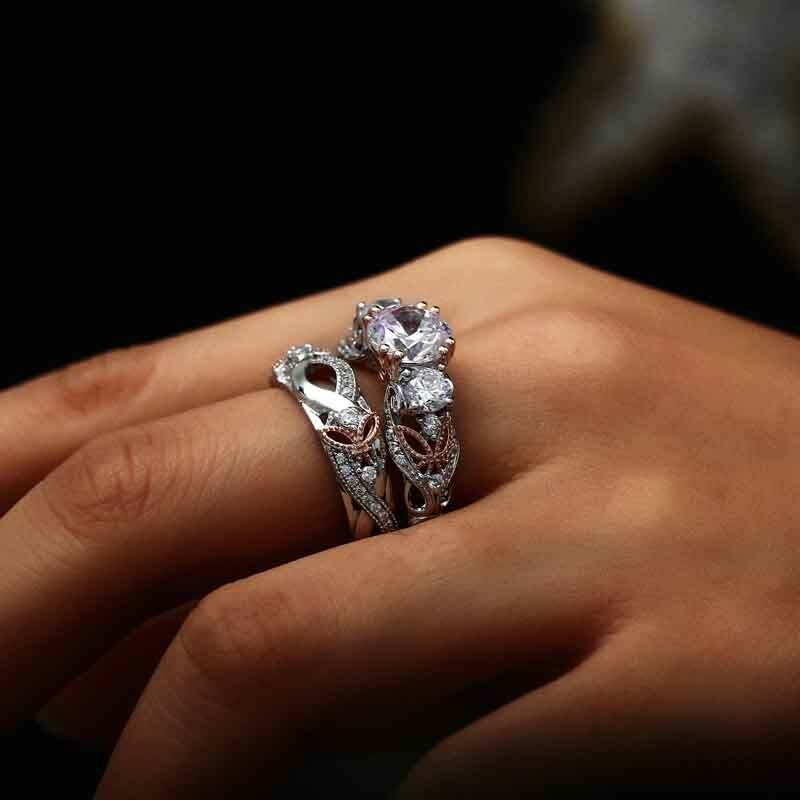 Be swept away by this elegant engagement ring set. 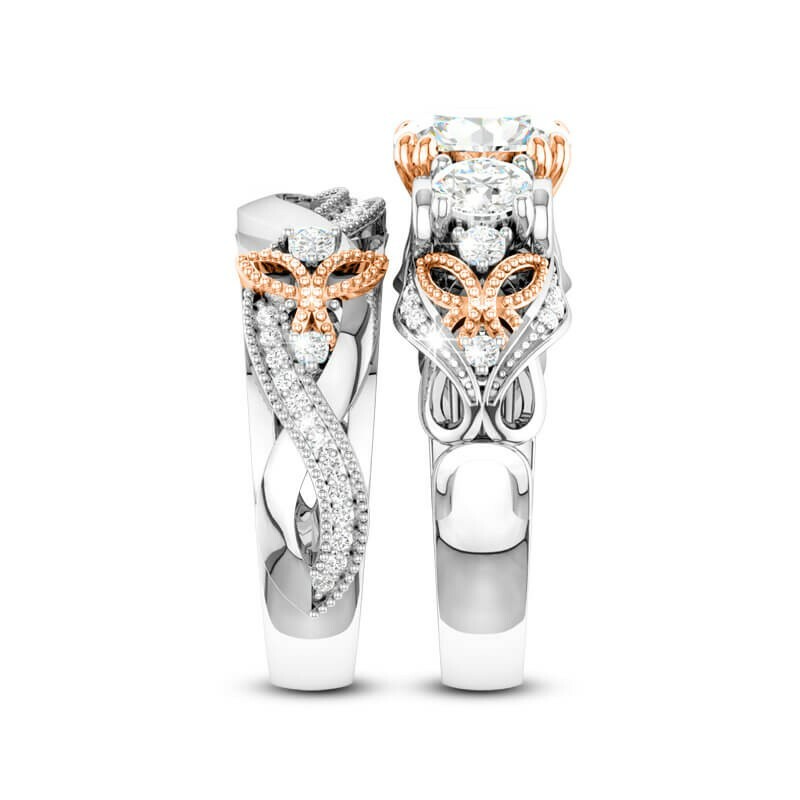 Inspired by the unfurling of a butterfly’s wings as it prepares to take flight, this engagement ring set dazzles with the countless white cubic zirconias which bejewel its scroll shoulders. 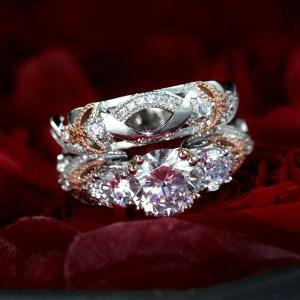 Everlasting love is symbolised by the infinity design which delicately sculpts each band. 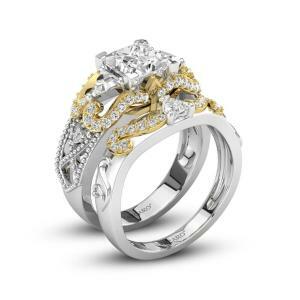 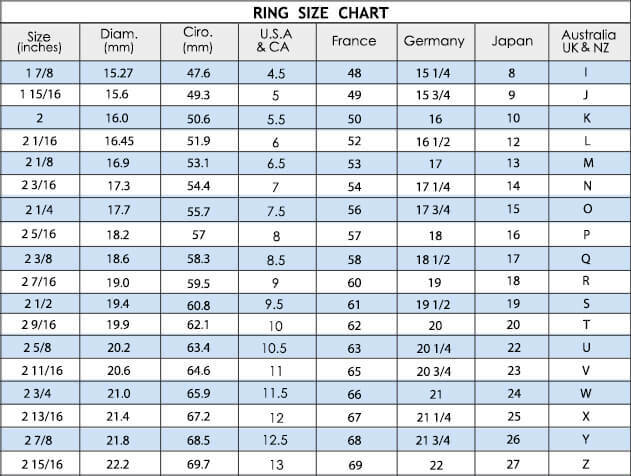 Crafted with care in white plated 925 sterling silver, this beautiful engagement ring set is adorned with a central 2.00ct VVS1 round cut white cubic zirconia, measuring 8x8mm, and flanked on either side by several round cut white cubic zirconias. 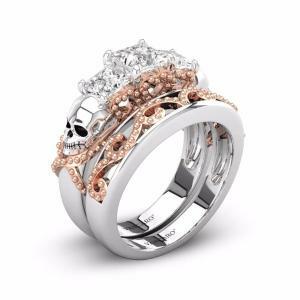 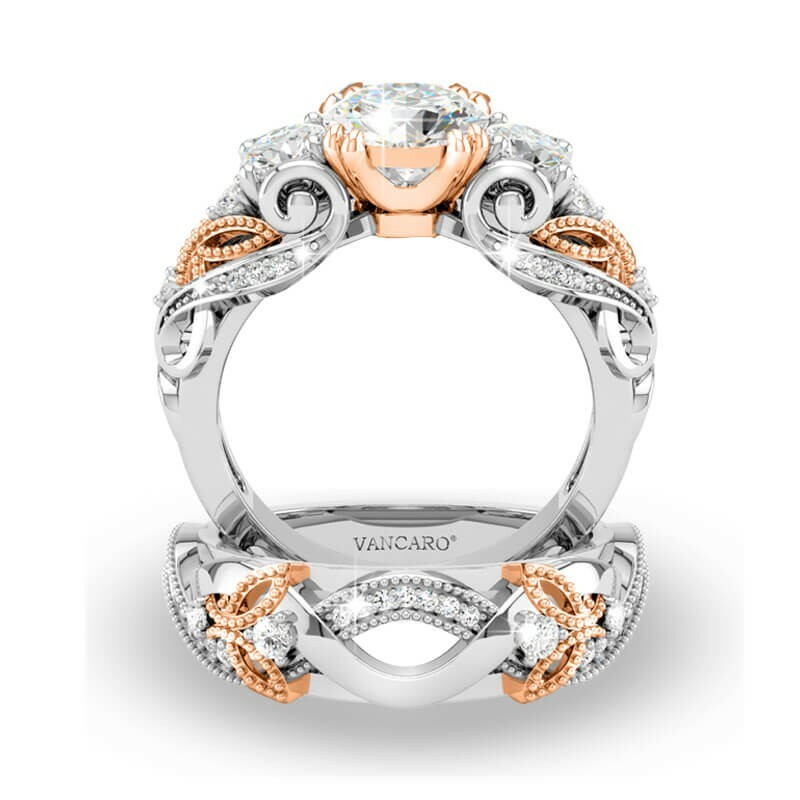 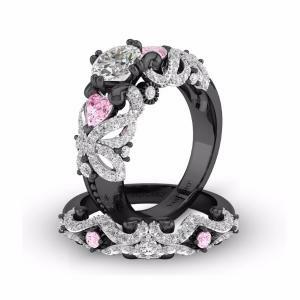 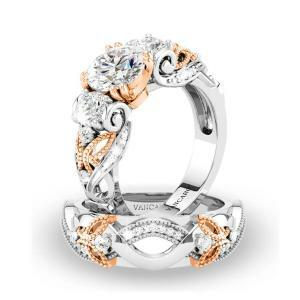 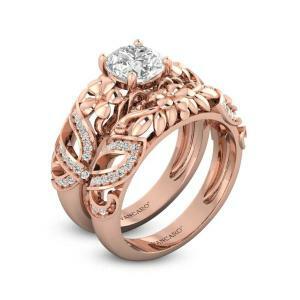 The central four claw mount and butterfly features are exquisite in a rose gold hue. 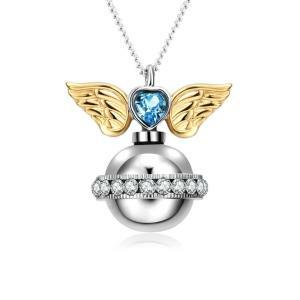 The perfect promise or engagement ring set, there is no better way to pop the question and say ‘I do.’ Destined for lifelong love with its infinity design, this engagement ring set will let your love fly on the wings of a butterfly. 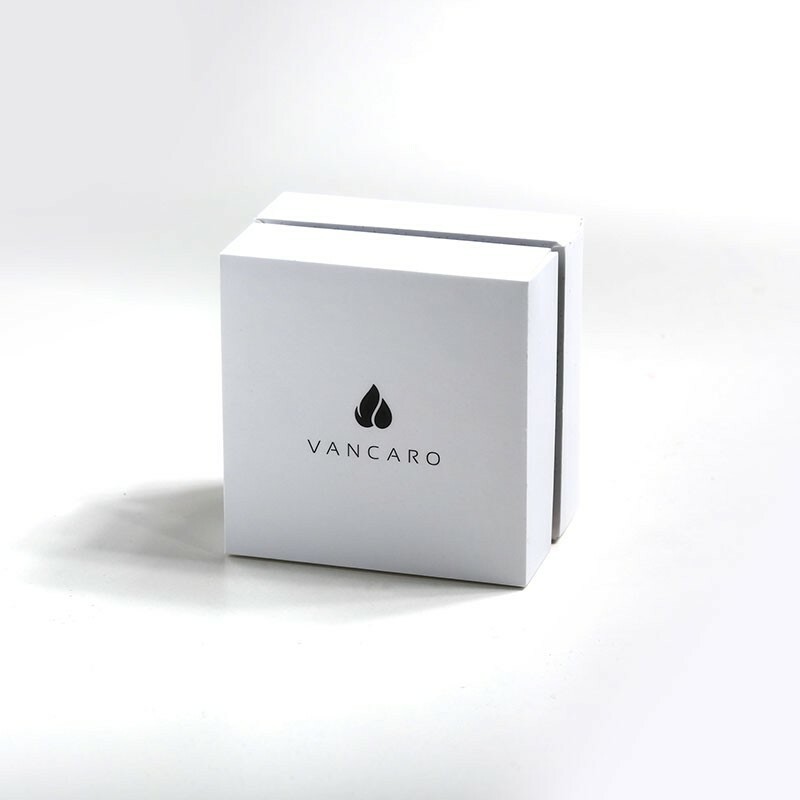 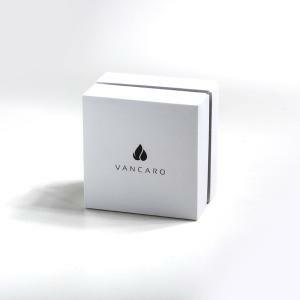 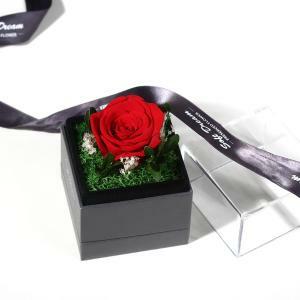 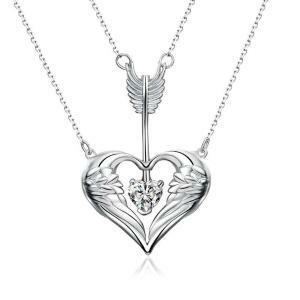 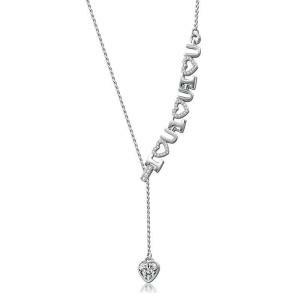 Delicate yet powerful, it will make a forever mark on your heart.